This is a sponsored post written by me on behalf of Smucker’s. I received compensation for this post, however all statements and opinions are 100% my own. 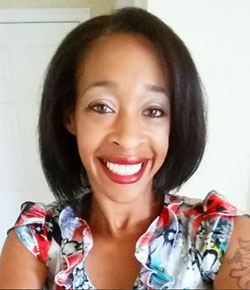 The weather here has been a little spotty for the past couple of days because of the tropical storms and hurricanes in the Atlantic, so we thought we would have to cancel our daycation to the beach. Luckily, the day we planned to go had gorgeous weather. 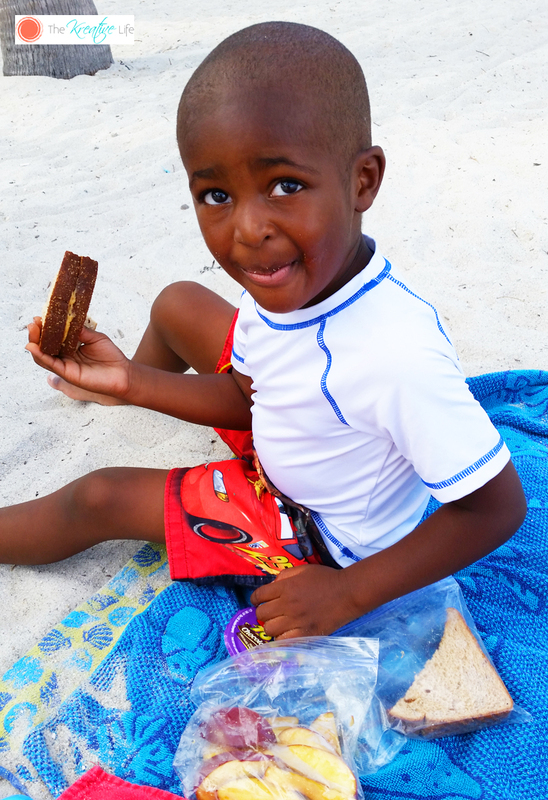 Besides building sand castles and splashing around in the water, my sons love having picnics at the beach. Over the summer, it’s been a tradition of ours to have a picnic before we start enjoying our beach activities. 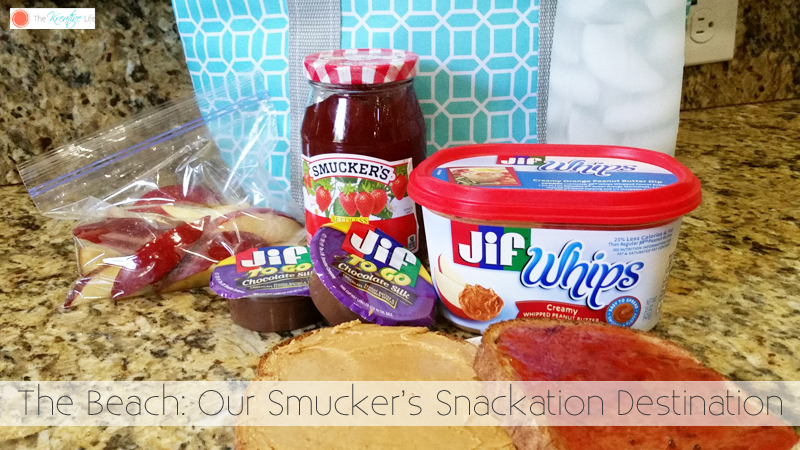 I started packing our goodies that we bought from Walmart, so we could head to Matheson Hammock Park, Our Smucker’s Snackation Destination, for a day of fun in the sun! 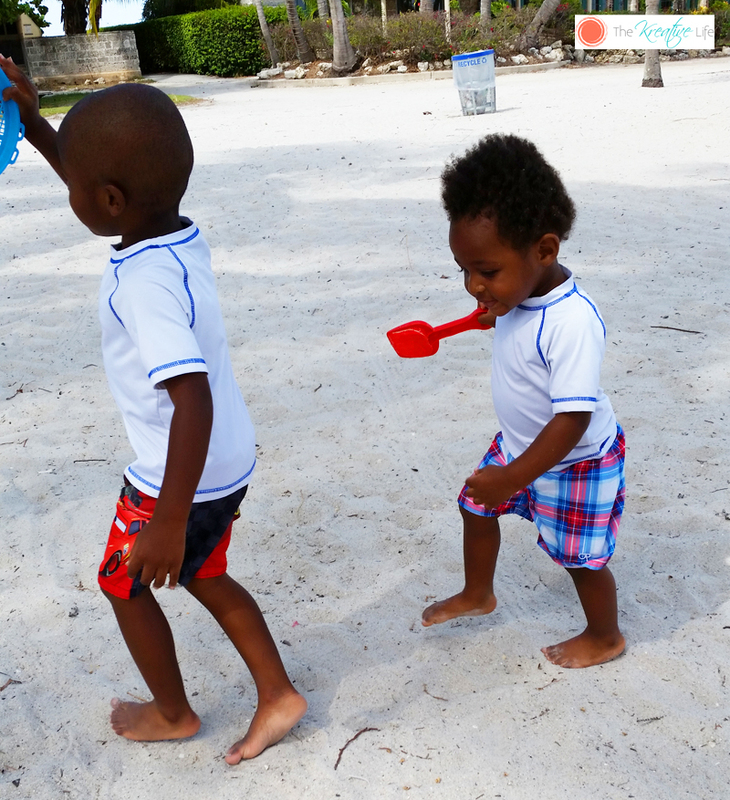 Every time we head to the beach, my sons are always ready to run around and play. Before we even arrive at the beach I make sure they have their sunscreen on because it’s so hard to get them to sit still once we’re there. However, I did make it a rule that when we get to the beach they have to sit down and eat before playing. That way they can keep their energy up! For this trip (and almost every other trip we have) I packed my sons’ favorite pb&j sandwiches, made with Jif Whips and Smucker’s Strawberry Jelly. After they ate, of course, they were ready to start having some fun! 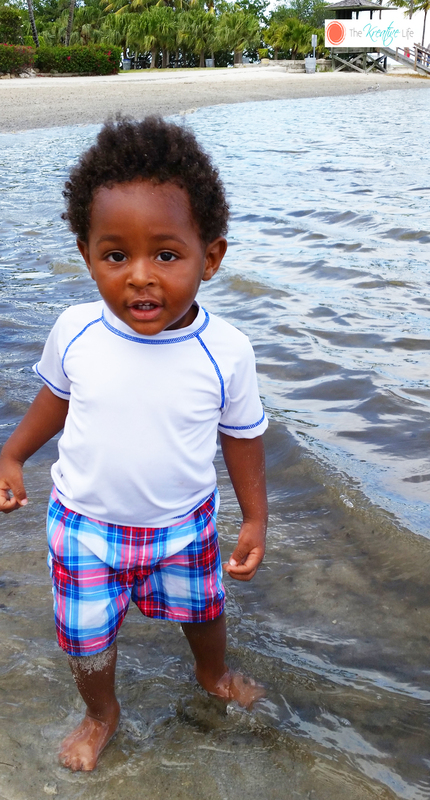 My youngest is a natural water baby. He’ll run straight to the water and will sit, run, and splash in it all day if I would let him. 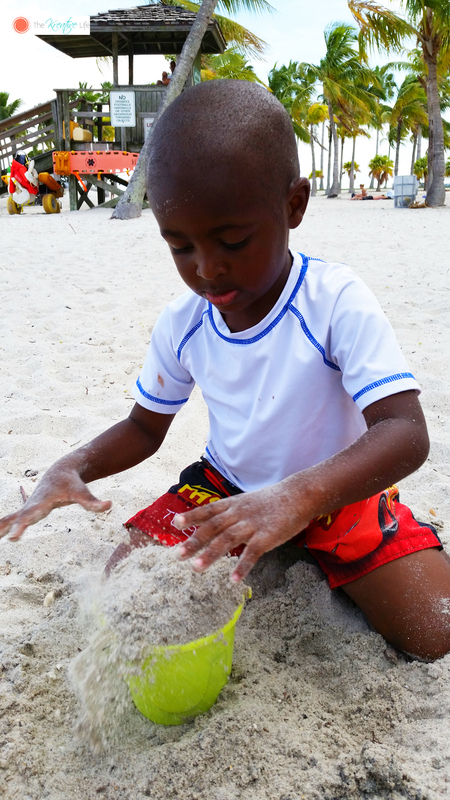 My oldest loves the beach, but he mostly enjoys making sand castles and sifting for seashells. 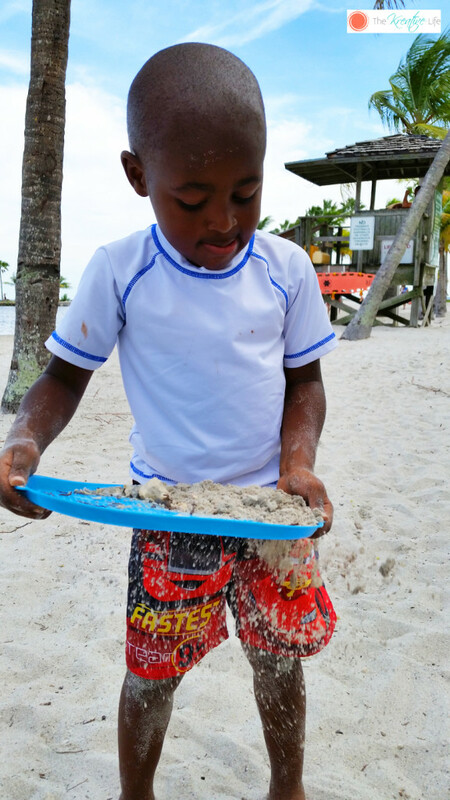 Since he was a baby, I’ve collected seashells with him from every beach we’ve visited. Luckily, this beach is not that far from the house, so we didn’t need to collect any because we have plenty from there. My oldest is a growing boy (as you can see, he’s only three but super tall), so he had to come back for a snack. 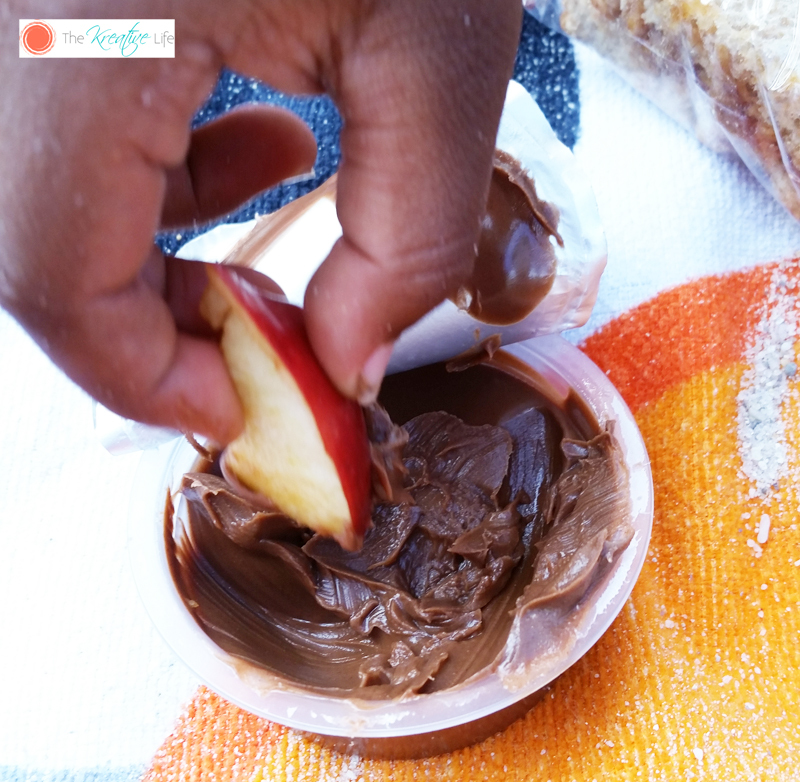 He snuck into our picnic bag and grabbed the Jif To Go Chocolate Silk Spread. If you read my post about us preparing for our #snackation daycation, then you know I was saving that for me. I couldn’t get too upset at him because he did grab the fresh apple slices to go with it. Overall, we had a great daycation! 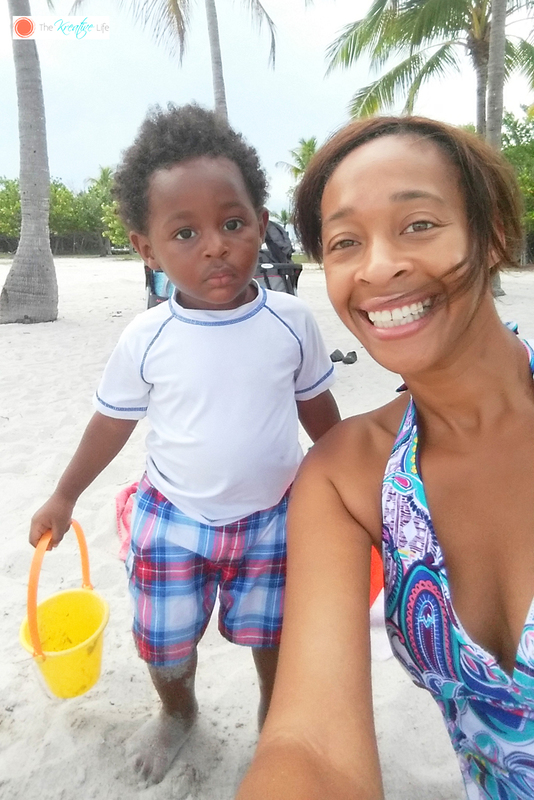 The weather held up, the beach wasn’t crowded, my babies enjoyed themselves (even though they brought more sand home then they left at the beach), we had yummy snacks, and I got to spend a peaceful relaxing day with my babies!